My new home in southern Arizona is great for that and I have never seen so many varieties of song birds and their colors are incredible. I do not have to go to the mountains but just sit in my front yard and watch them and every morning they sing to me with incredible variation and tunes. Some have funny names but I love watching them. I was told weâ€™re on the migration path for many birds. Anyone else who like to come out of the closet- do you like bird watching??? 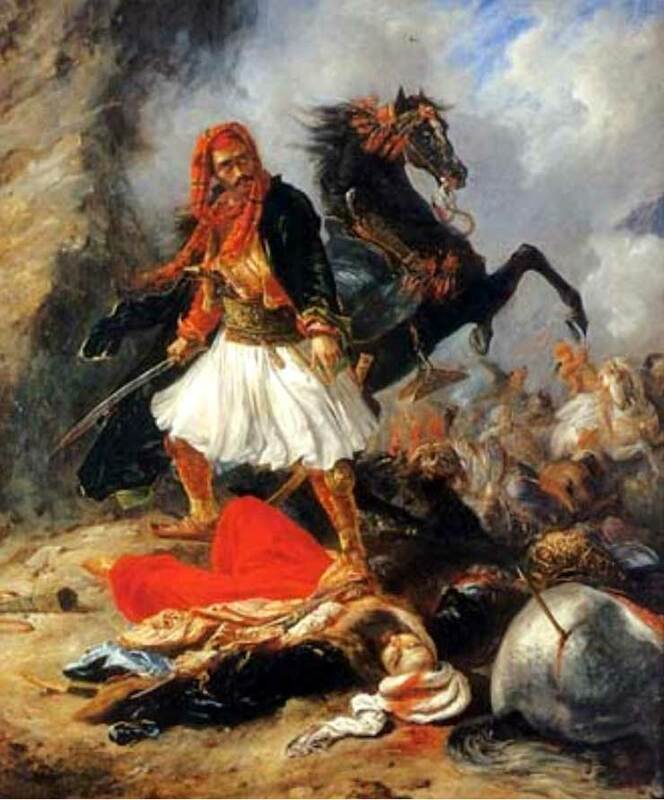 Well then, brothers and fellow citizens and soldiers, remember this in order that your memorial, your fame and freedom will be eternal. Although I am shocked by You being ... but I admire your courage! Although I am shocked by You being ...Â but I admire your courage! ya'll make me laugh but no comments about bird watching!! Are there any other fans???? We have turkey vultures which are neat to watch but also variety of hawks and golden eagles but I have not see the latter. I remember learning about the Rufus sided towhee in biology - a very pretty bird (red sided towhee) I don't know why they can't just say red instead of rufus. And yes, it is really fun and interesting to watch birds. that is one neat looking owl. We have a lot of owls here. When I lived on the east side of Washington State, in Spokane, I had seen bald eagles by the little Spokane River. What a majestic sight!!! I would love to go to Alaska to see the large numbers of bald eagles there. It sounds nice with the bald eagles. Here in Sweden we have two indigenous kinds of eaagles the golden eagle (Aquila chrysaetos) and the sea eagle (Haliaeetus albicilla). The latter one is closely related to the bald headed eagle. It is our largest bird of prey. But the golden eagle is considered more ferocious. 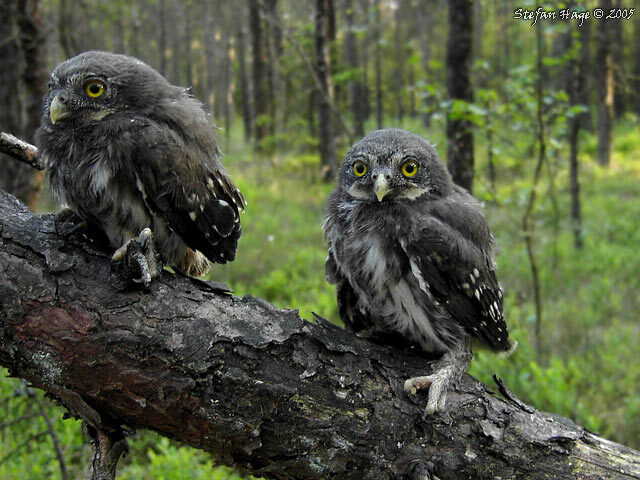 Talking about owl, we have thirteen species here in Sweden, the European eagle owl is largest and the Eurasian pygmy owl (Glaucidium passerinum) is the smallest. I have seen some of our species of owl and heard some more. ItÂ´s really fascinating to hear their hooting and other sounds in the night. wow they look really intereting. I do not know how many species are in the desert southwest but you have a lot. I have been to Europe six times but never to Sweden. The first owl you posted looks like one of our great horn owls. 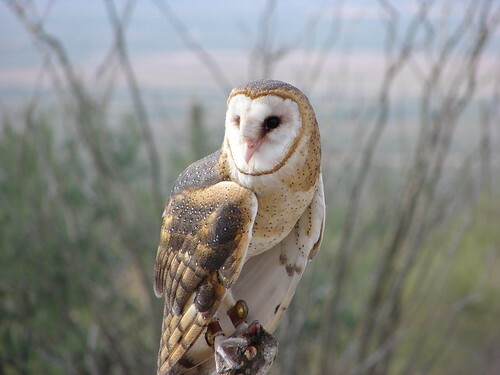 Do you have barn owls? How about eagles in Sweden? We have golden and bald eagles but I am not sure if we have the latter down here since I recently relocated from our Pacific Northwest. Here in Sweden we have two kind of eagles the golden eagle (Aquila chrysaetos) and the sea eagle (Haliaeetus albicilla). The latter one is closely related to the bald headed eagle. It is our largest bird of prey. But the golden eagle is considered more ferocious. Barn owls (Tyto alba) we have in the most southern part of Sweden, the province of Scania. 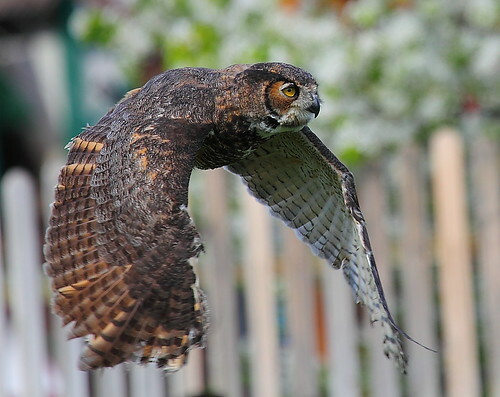 Your great horn owl (Bubo virginianus) is a very close relative to our European eagle owl. 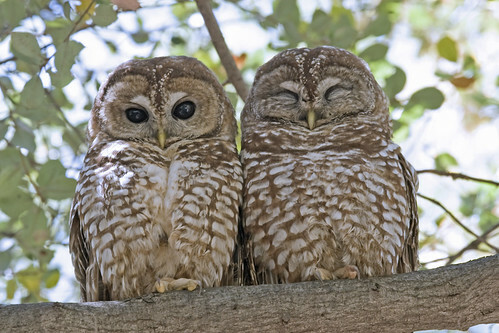 Those spotted owls really looks nice. Here in Sweden we have the tawny owl (Strix aluco) who belong to the same genus as the spotted owl. WhatÂ´s the red birds name in your post? ItÂ´s really beautiful. Where did you manage to get a photograph of one of 'those' Parnell?! Is that a camera trick of some sort, or simply a photoshopping job? Very difficult; let alone getting a hold of them in large groups! Cool, Eaglecap, ever since I was 11, I also have enjoyed birdwatching. One time I saw a grackle and a crow fighting a turf war. Another time, I saw a blue jay completely being a jerk to some other birds. I think we have grackles. They are large birds but not as big as a crow but with a yellow beak and they make funny noises. The crows in Istanbul looked like our crows but most of their bodies are gray with black wings. We have numerous species of black birds but recently I saw a flock of them eating something by the dairy cows down the road. They had black bodies but a bright yellow head and looked very strange. 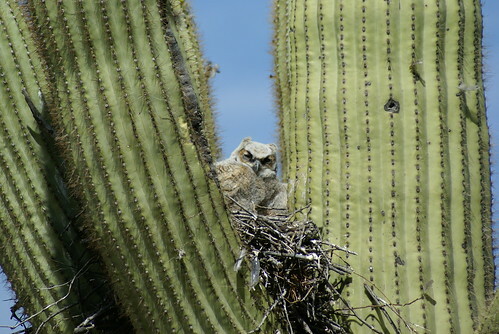 This is a cool pic of an owl taken in Arizona but it does not say what species of owl. I could not get a pic but road runners are a common sight in the Arizona desert along with Turkey vultures. 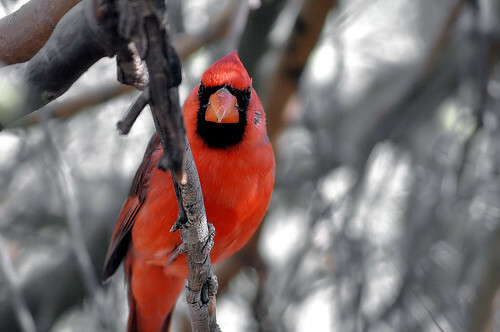 Eaglecap, the red bird (with a black face) in your post that Carcharodon inquired about is actually a male Northern Cardinal (cardinalis cardinalis), found not only in Arizona but throughout eastern North America. Formerly it was more common in the southern part of North America, when I was growing up in the 1950's and 1960's, we rarely ever saw it in New England. It's now become a little more common up here, though, due to people putting out bird-feeders in the winter. ( I don't think it migrates, and it needs to have a supply of seeds to eat in the winter when the ground is covered with snow.) The male is bright red with a jet-black face. The female is more of a rufous (brownish red) color and her face is more of a duller black. They're nice birds to have around.